The K- series muzzloading rifles were innovative and ergonomic despite their ugliness. The design was right out of the Russian Kalishnakov’s playbook, with the action upside down, the ramrod on top of the barrel and a red dot sight. The action was actually a White G-Series Whitetail with 22 inch barrel. That put the cocking knob on the right. I had to invent a new trigger group and side swing safety. The most unique thing was the reduction in felt recoil, the barrel being lower than usual made the recoil come straight back, the barrel did not lift at all with the shot. I only made six, with six different stocks including sporting grips like the prototype shown here, pistol grips and straight grips. I even did one with a folding stock. They were fun but only made the folks at White Systems laugh. They were not interested. The 4 smaller photos show you how the safety and cocking knob works. Left above: the cocking knob is pulled back and down into safe. Right above: the cocking knof is in the fired position. Left below: the cocking knob seen from the left side in the safe position. Right below: and now seen from the right in the safe position. The ready to fire position is straight out, horizontal to the gun’s axis. Trigger pull is adjustable, right now about three lbs. Above is MK-6 finished military green with black metal. Never seen such an ugly yet effective rifle. I took it hunting just to show that the concept worked. 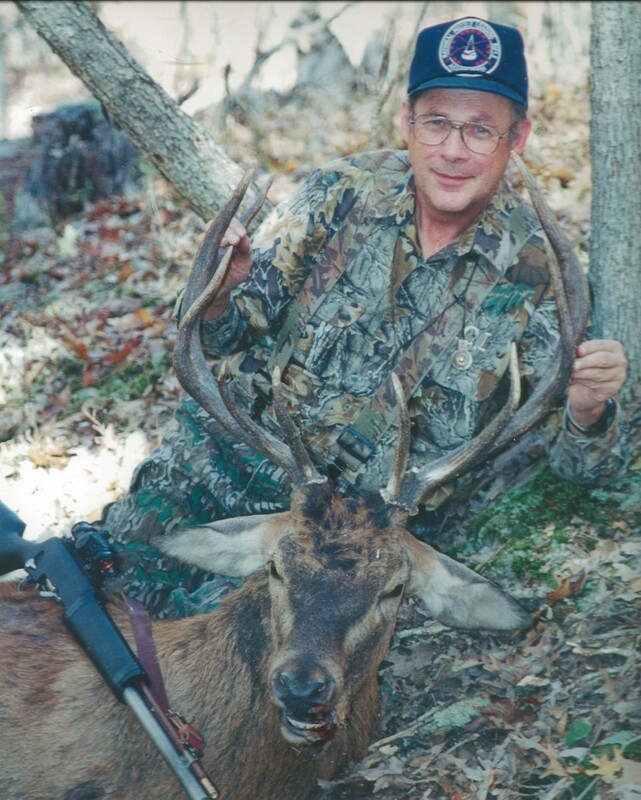 Tom Fraley ran a 600 acre Missouri hardwood hunting ranch and had a middling red deer fighting with and killing his fenced whitetail and young elk. He asked me to put it down. The critter was rutting and foaming at the mouth when we ran into it in those thick woods. I didn’t have to hunt it, it came after me. Tom stayed in the truck. The 120 grains of P Pyrodex and a 460 grain Super-lug did the job with a hit at 30 yards right at the V of the neck. We took the bullet off his rump. The rifle you see was the first made, MK- 1.